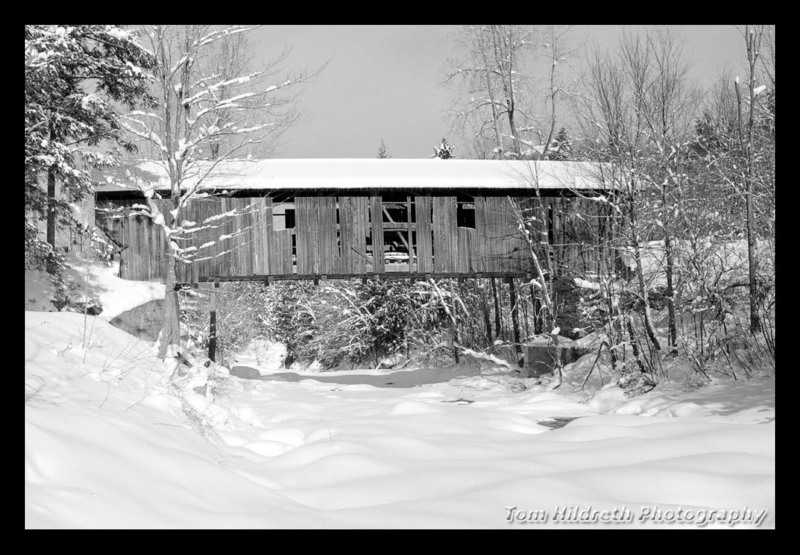 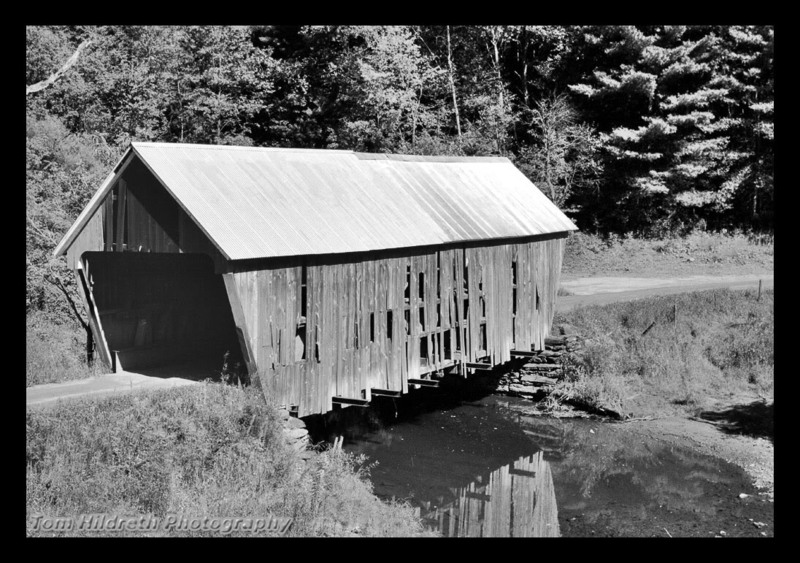 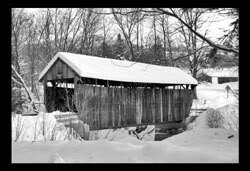 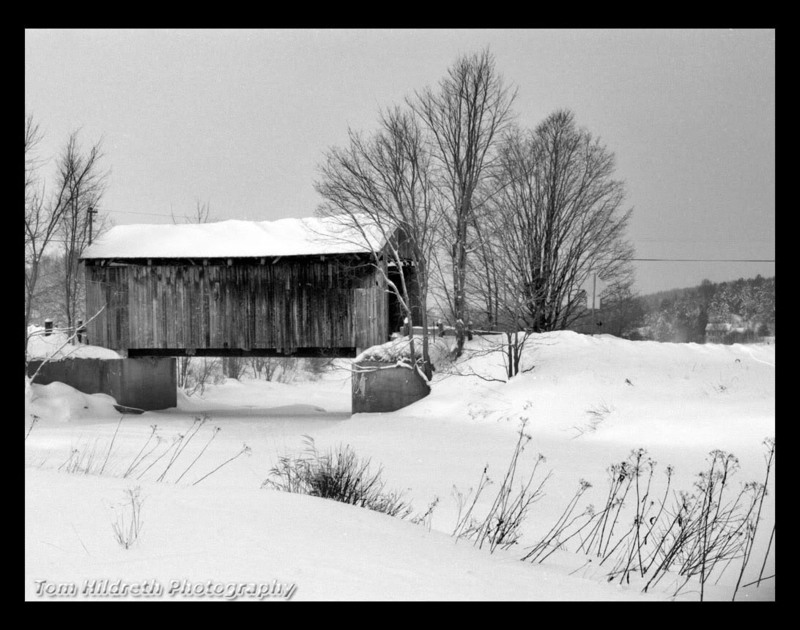 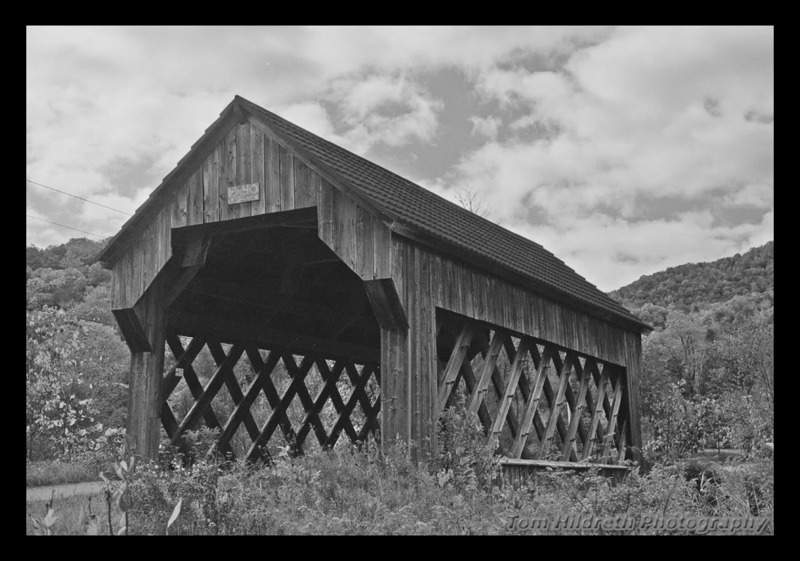 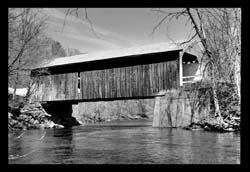 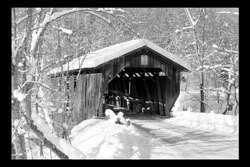 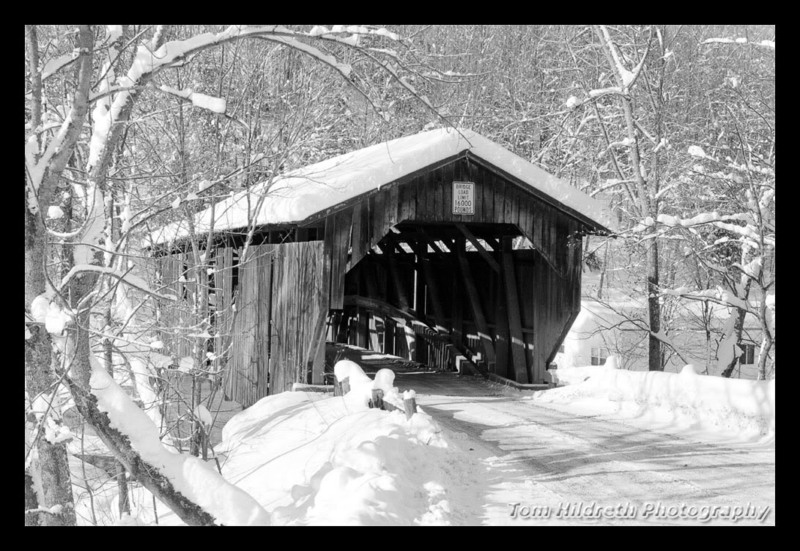 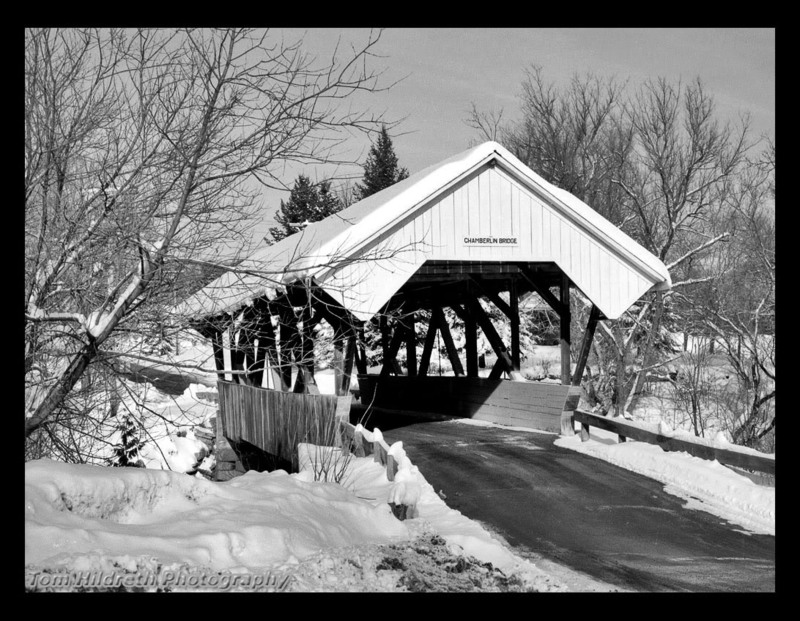 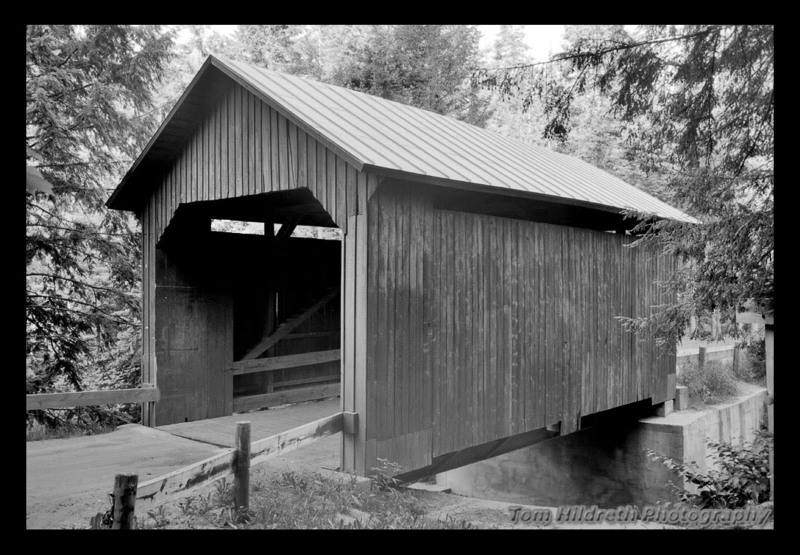 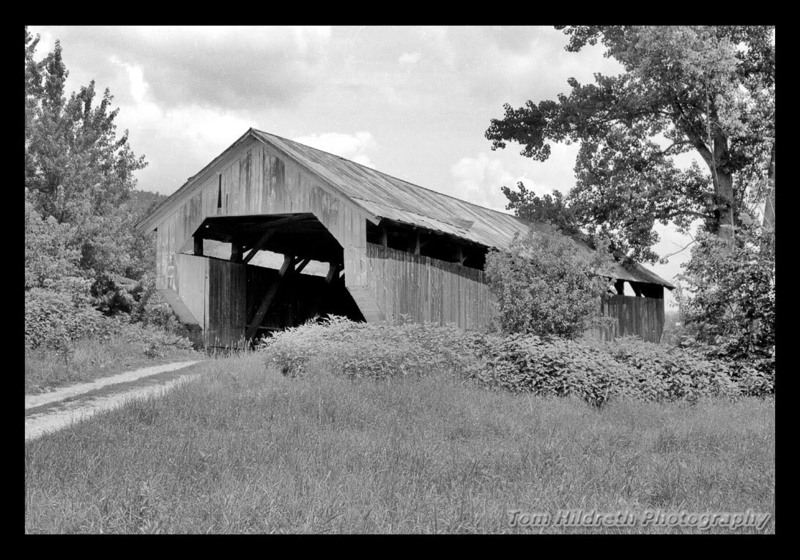 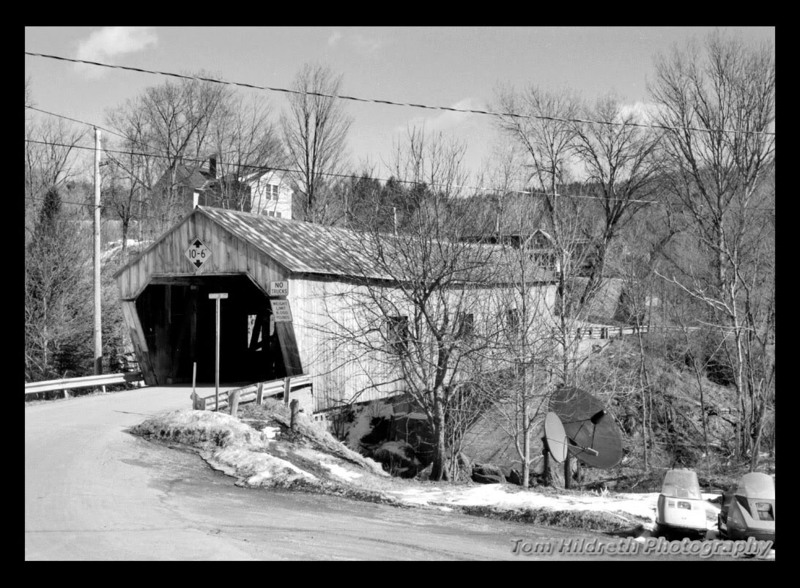 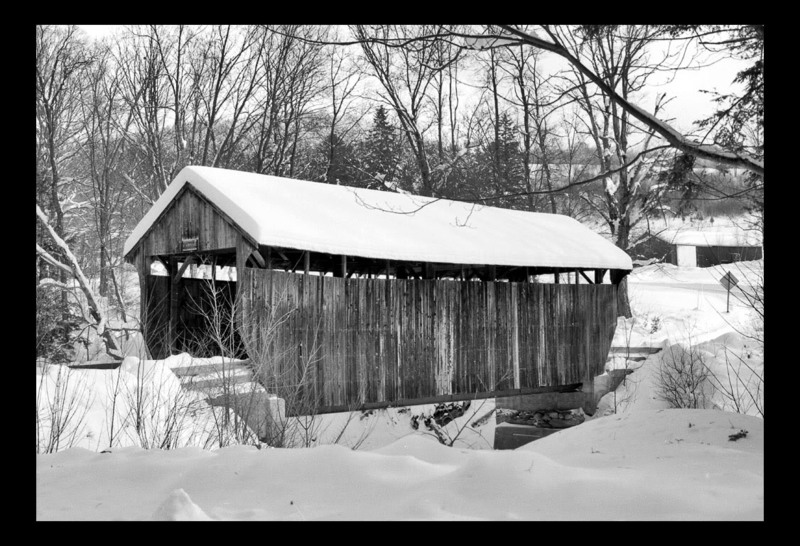 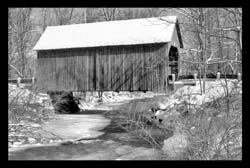 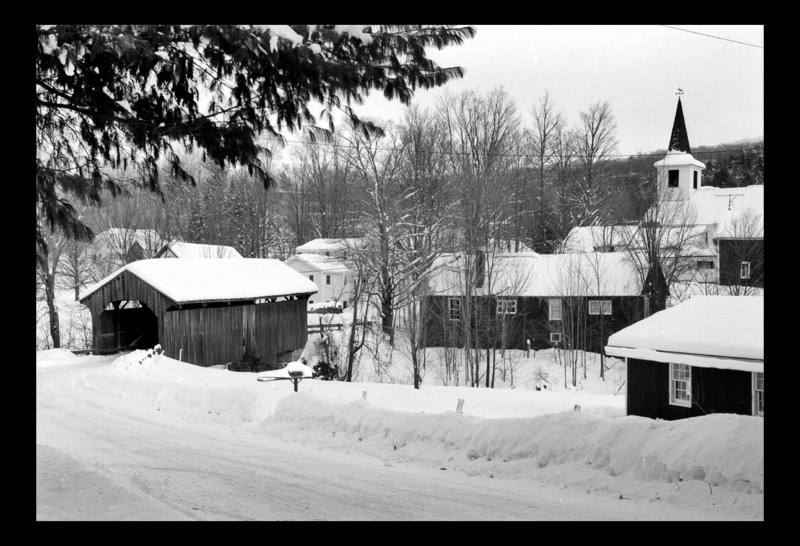 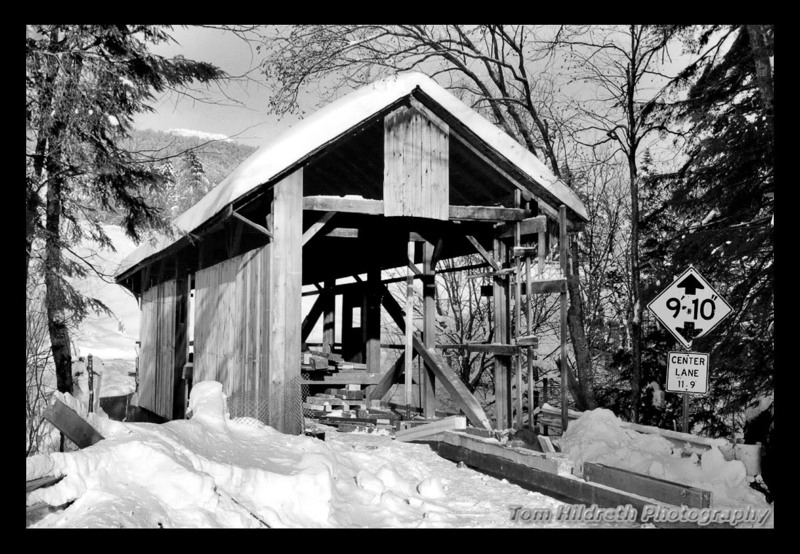 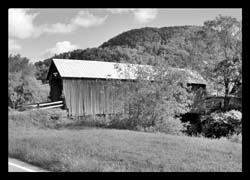 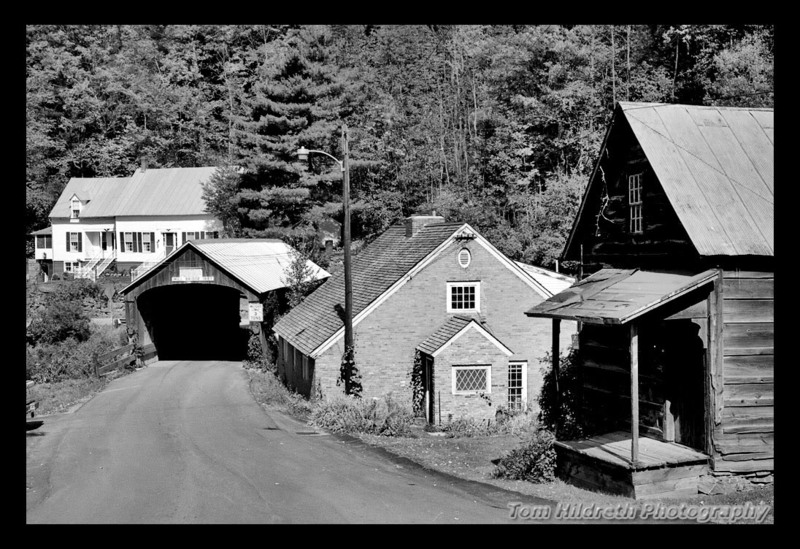 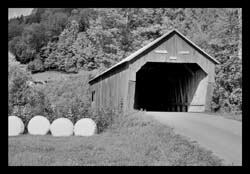 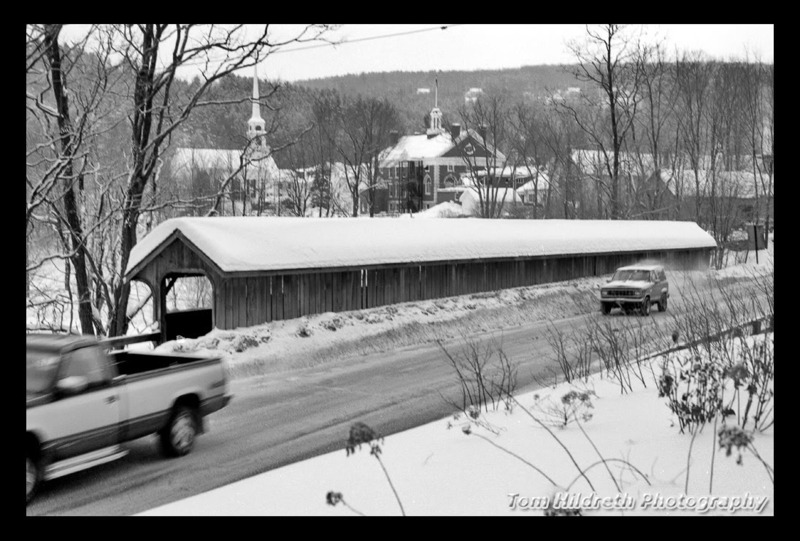 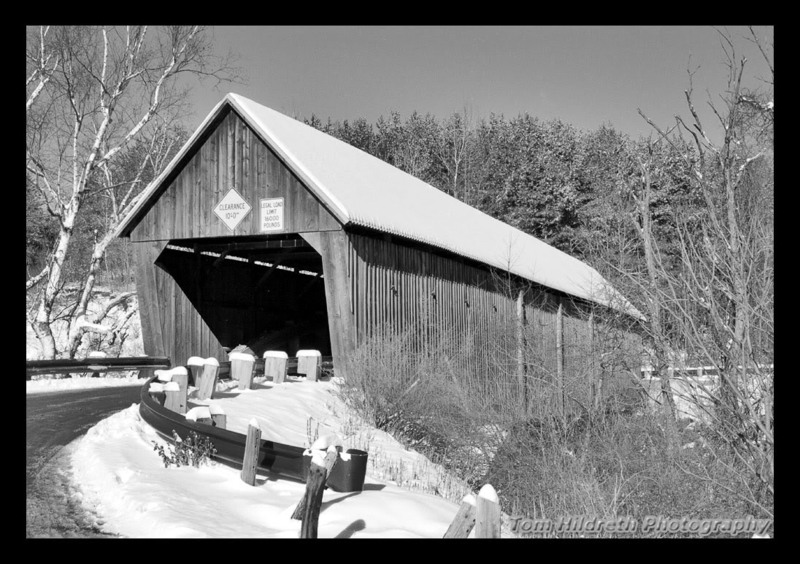 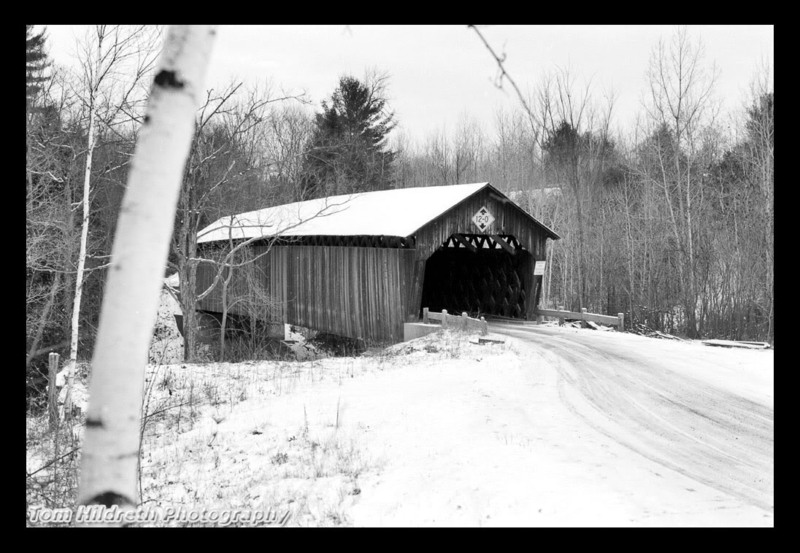 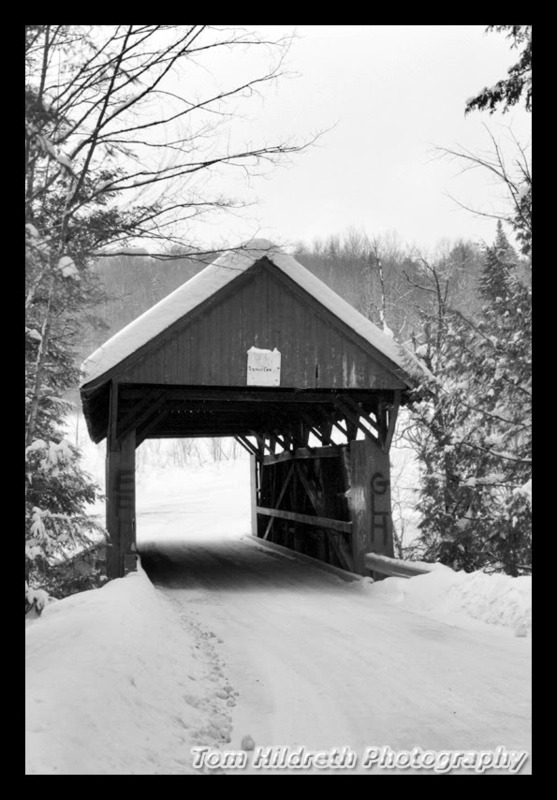 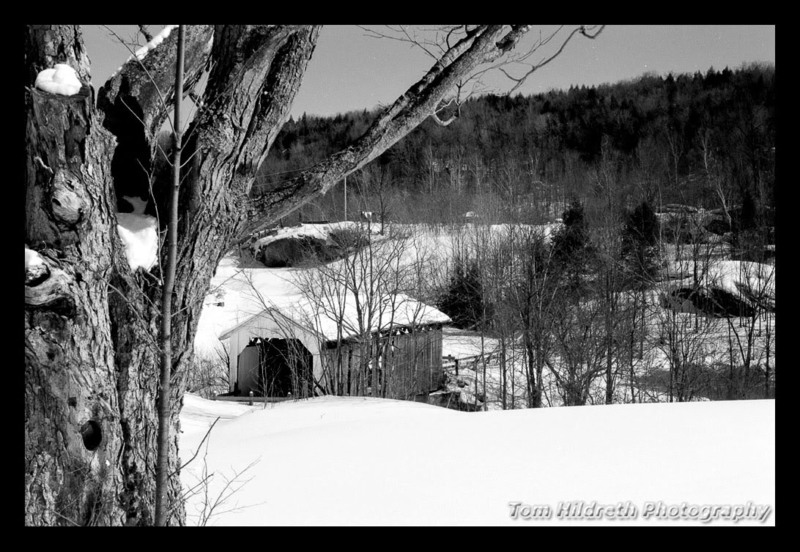 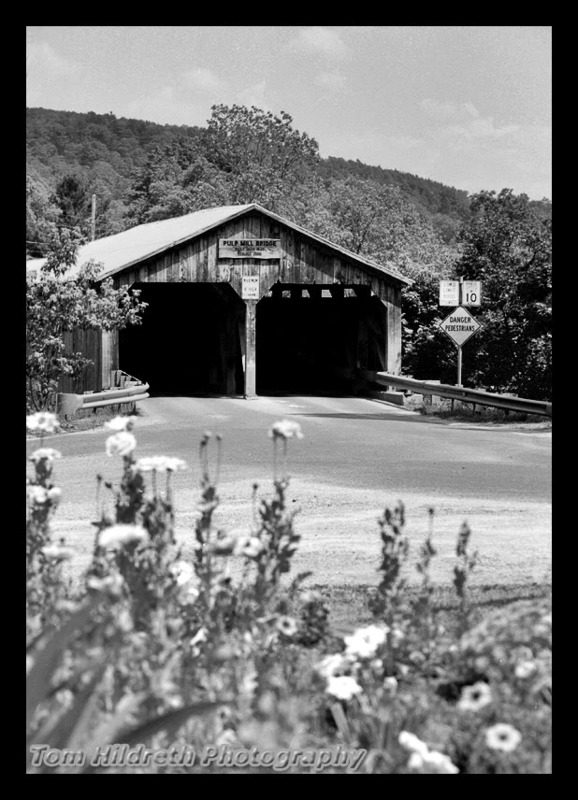 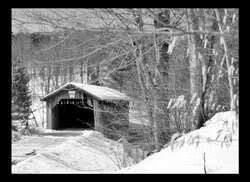 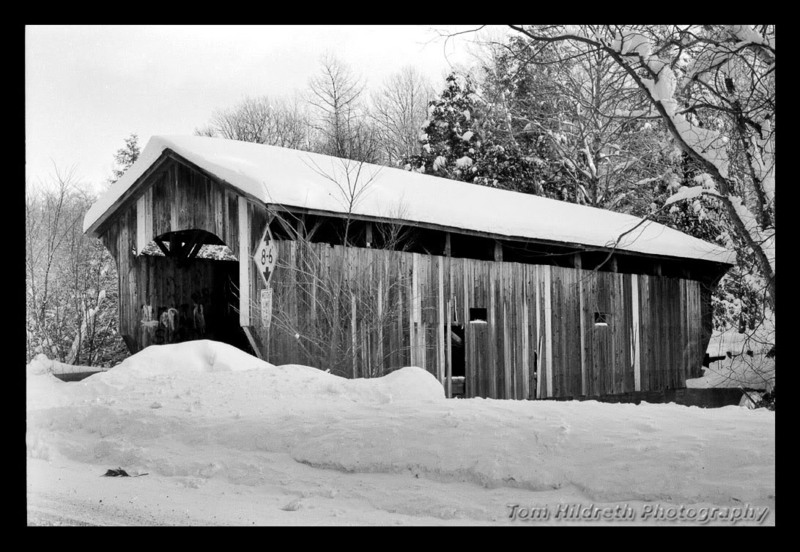 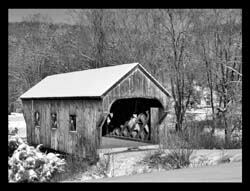 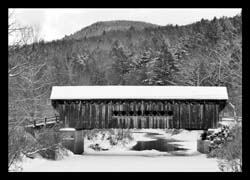 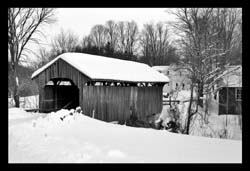 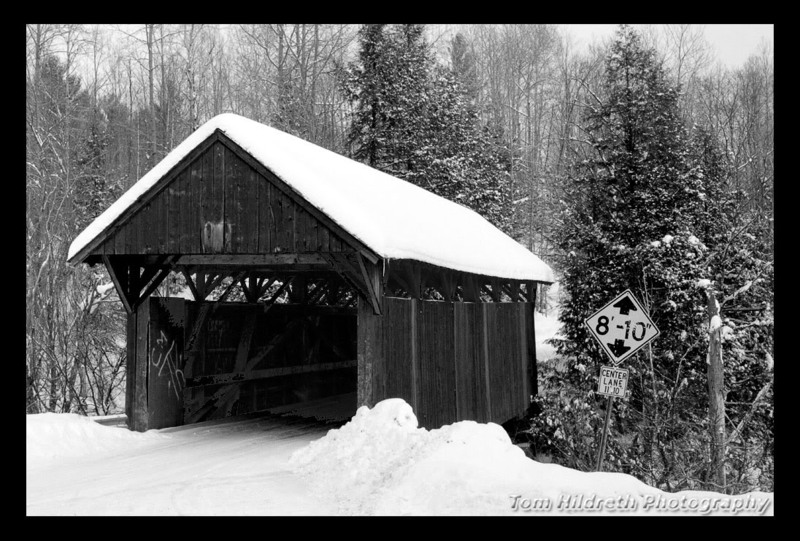 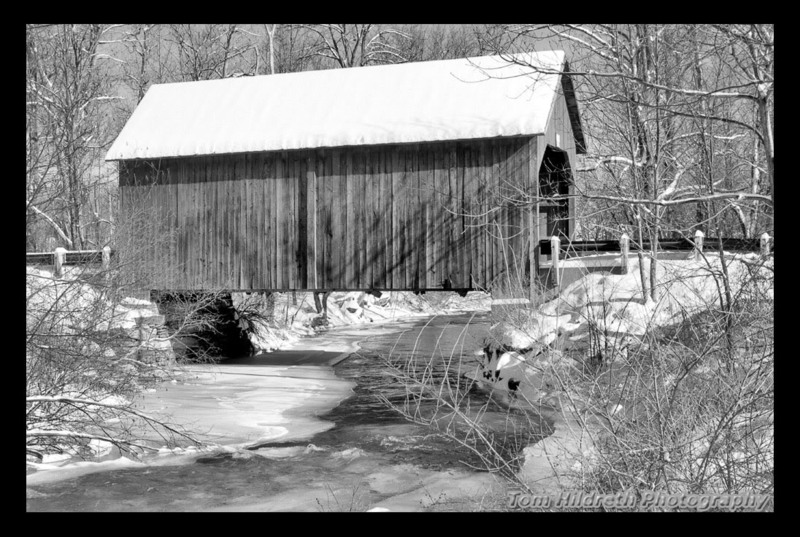 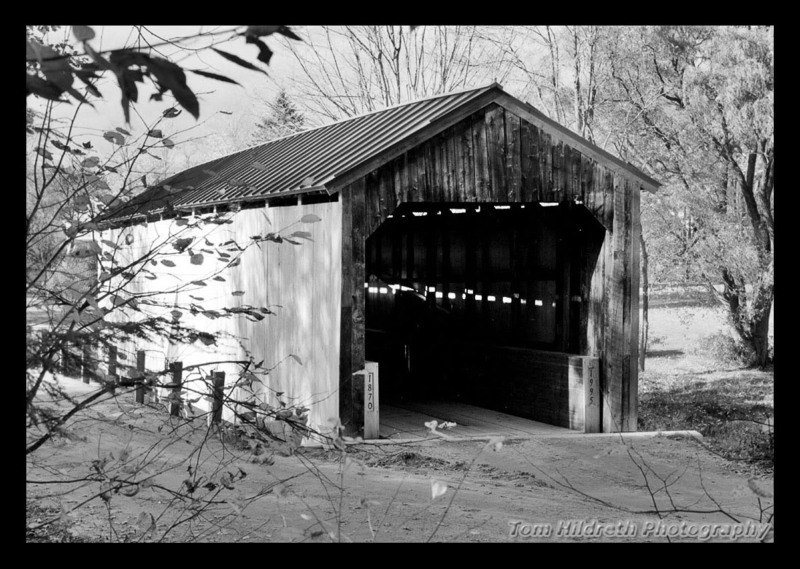 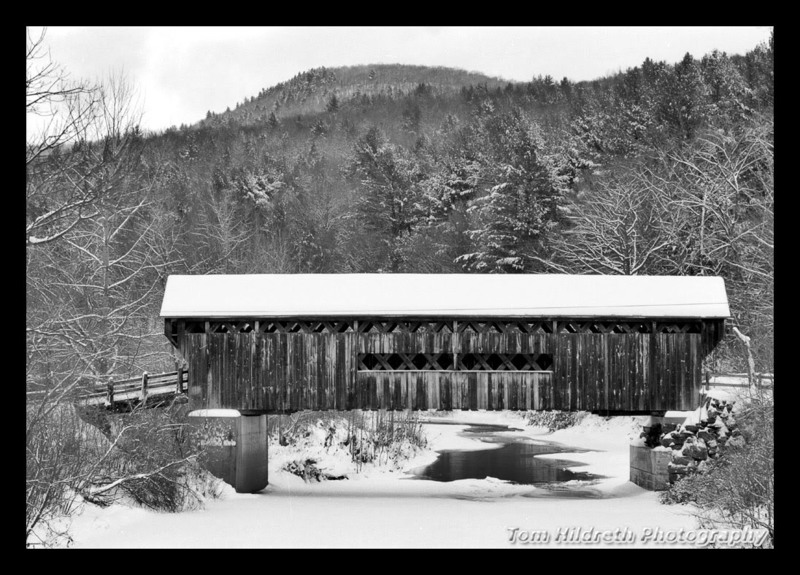 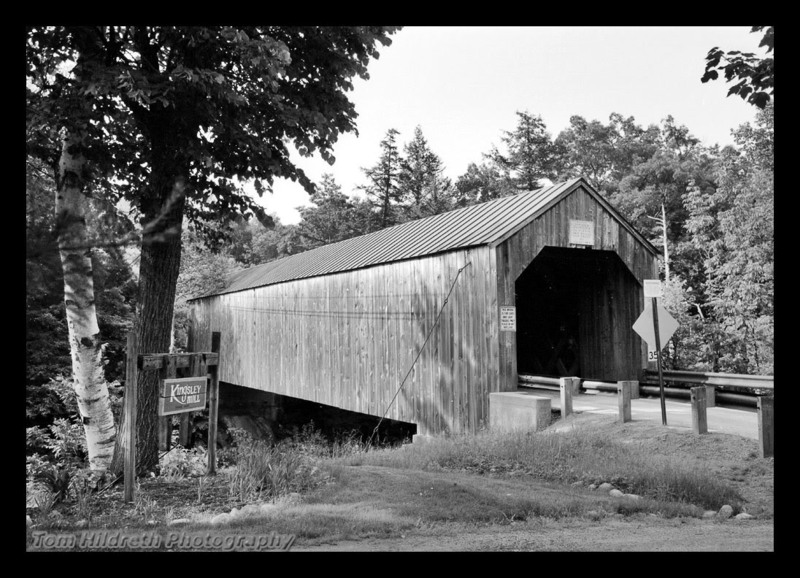 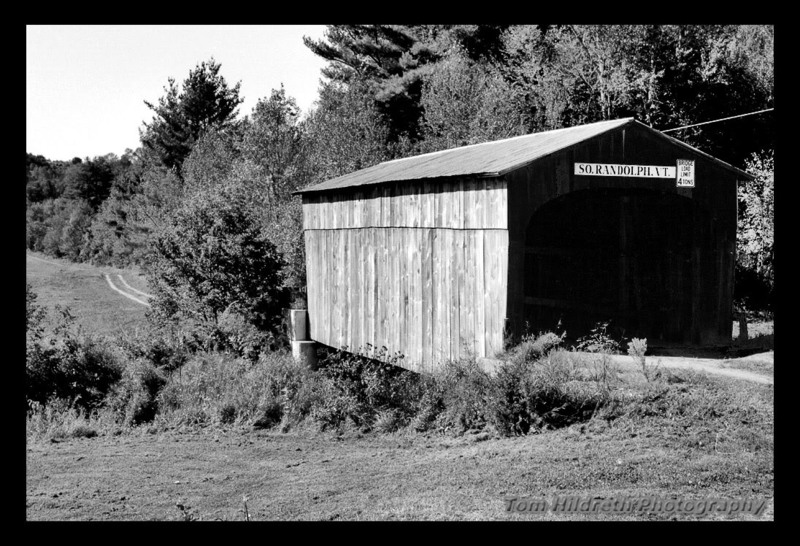 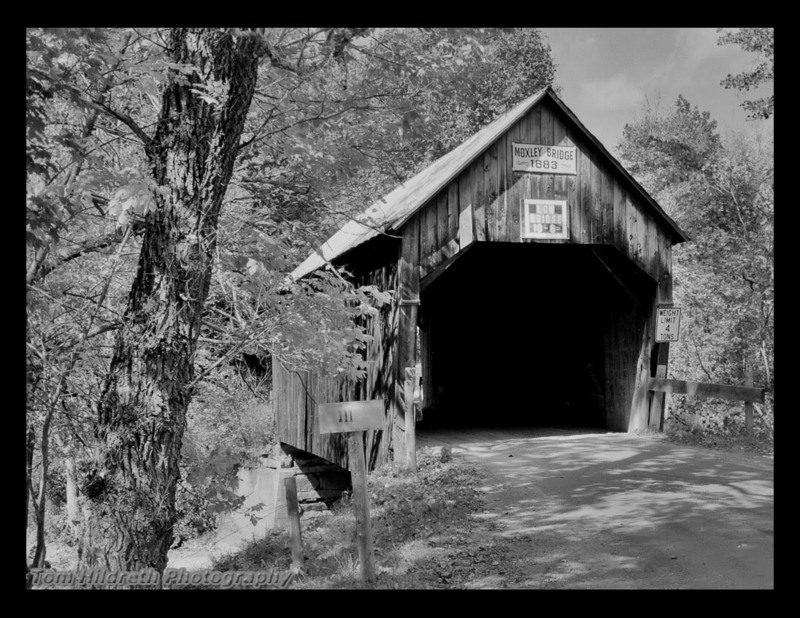 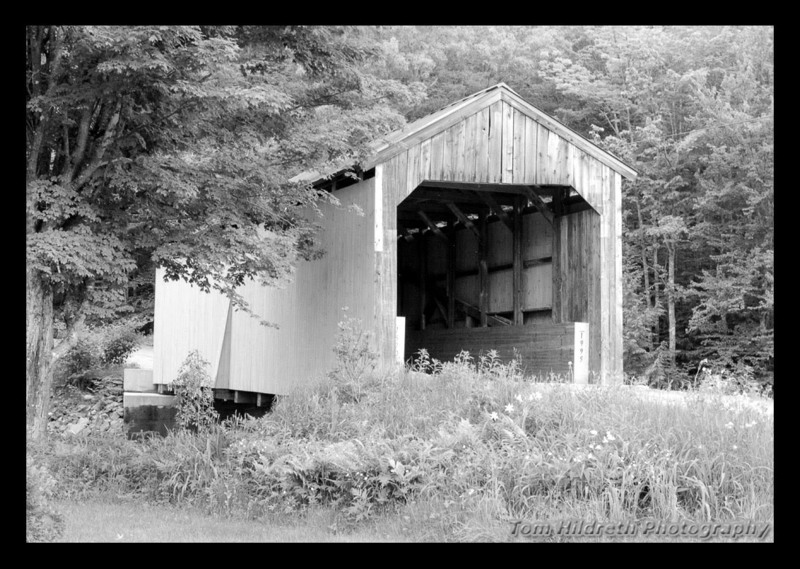 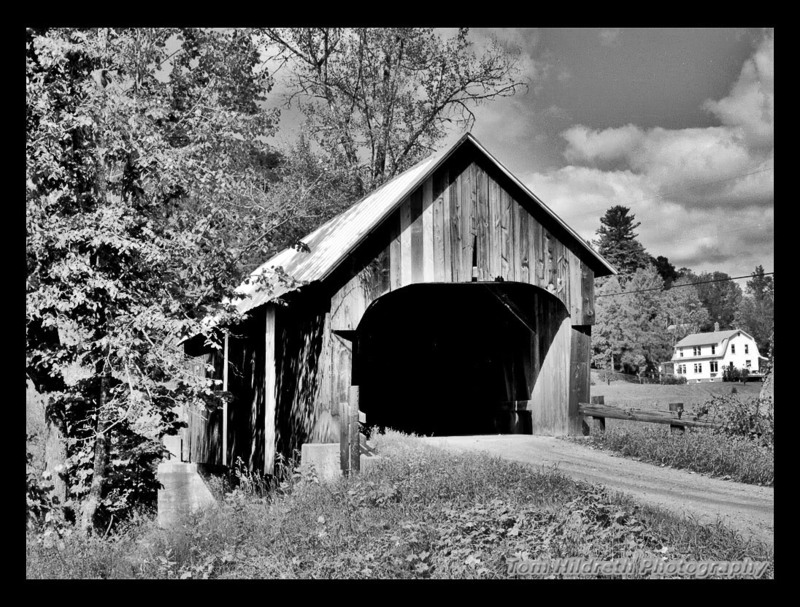 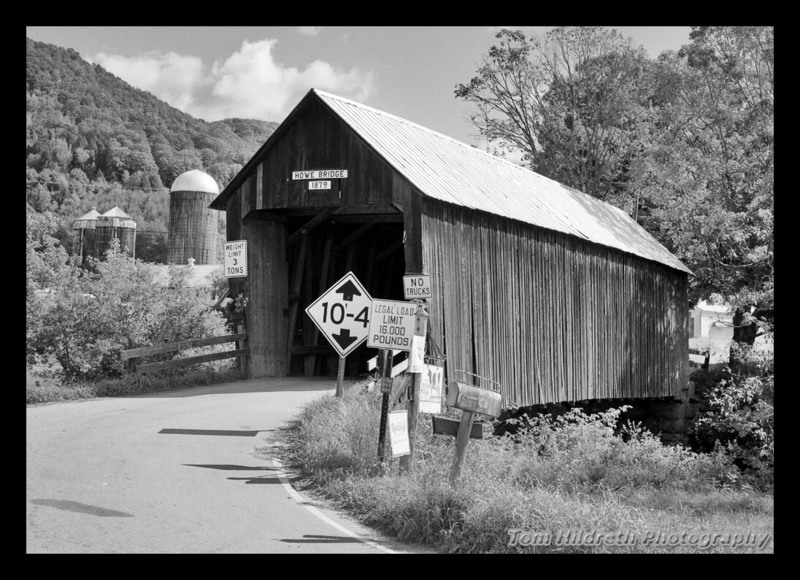 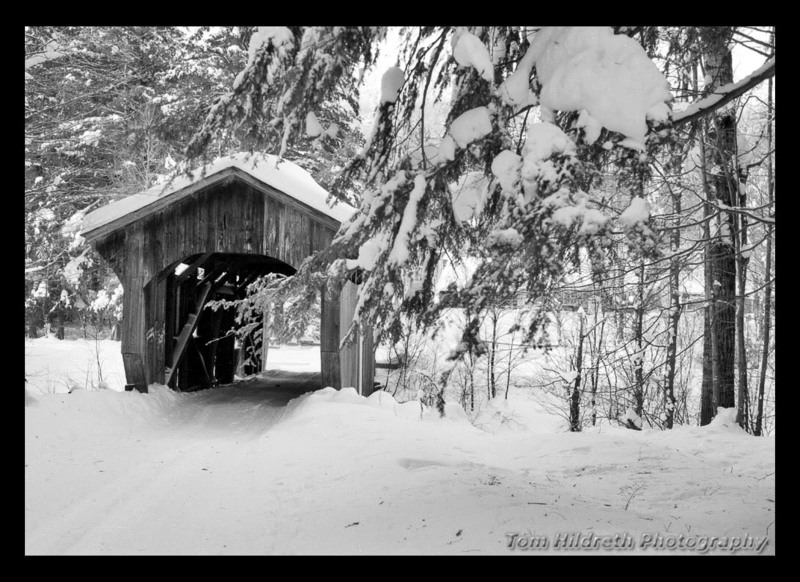 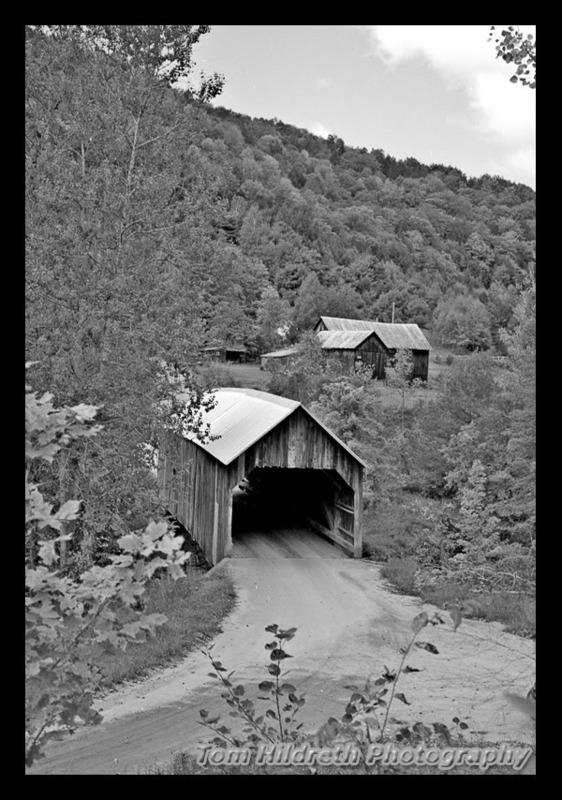 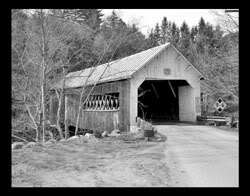 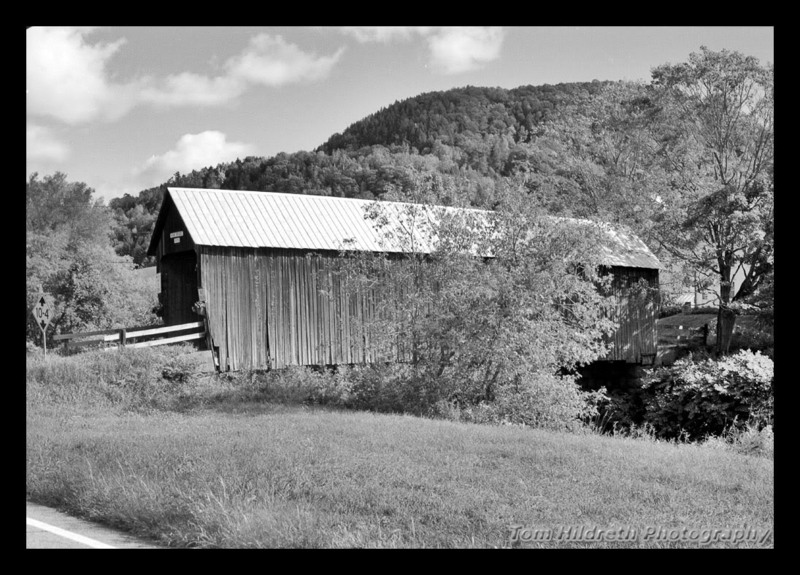 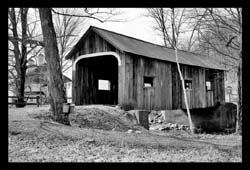 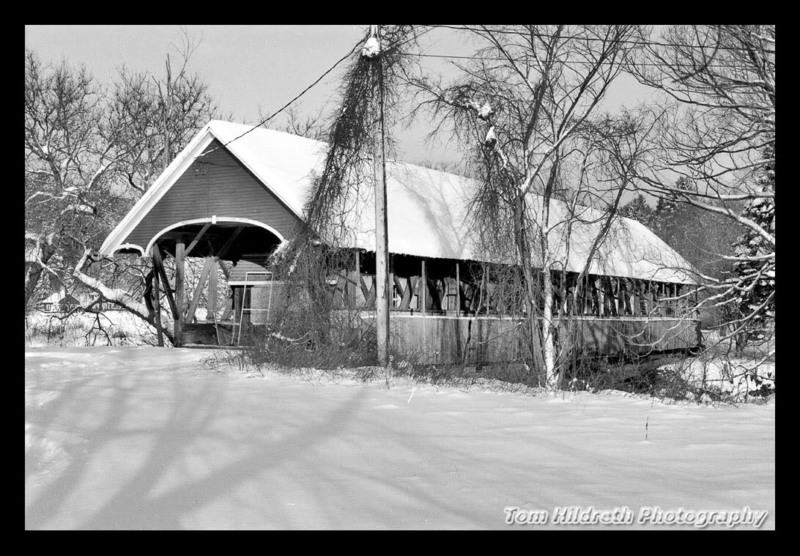 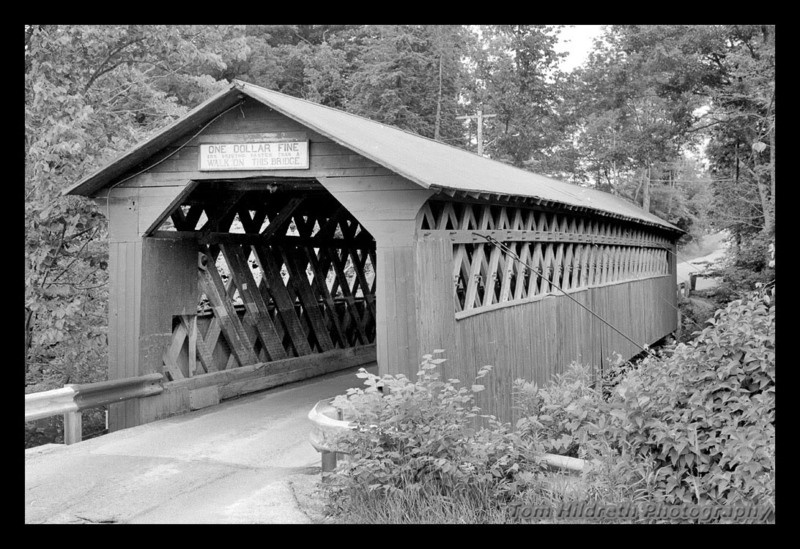 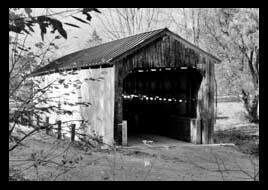 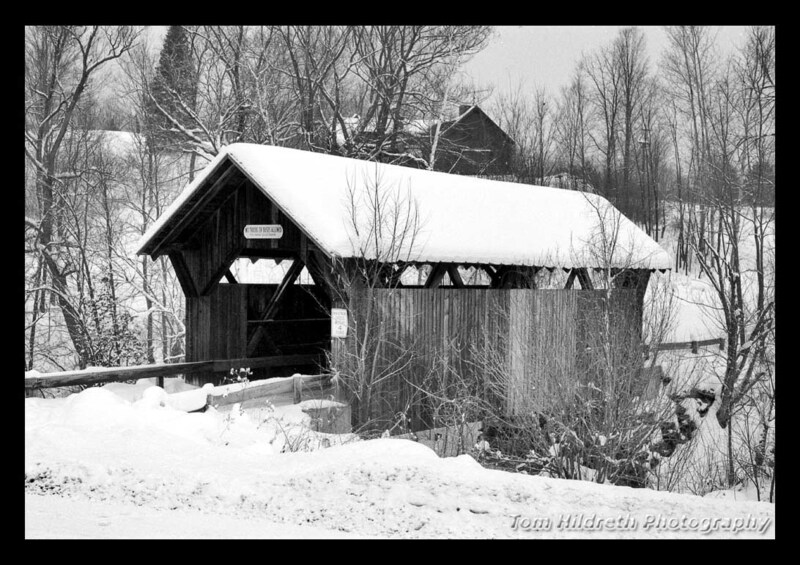 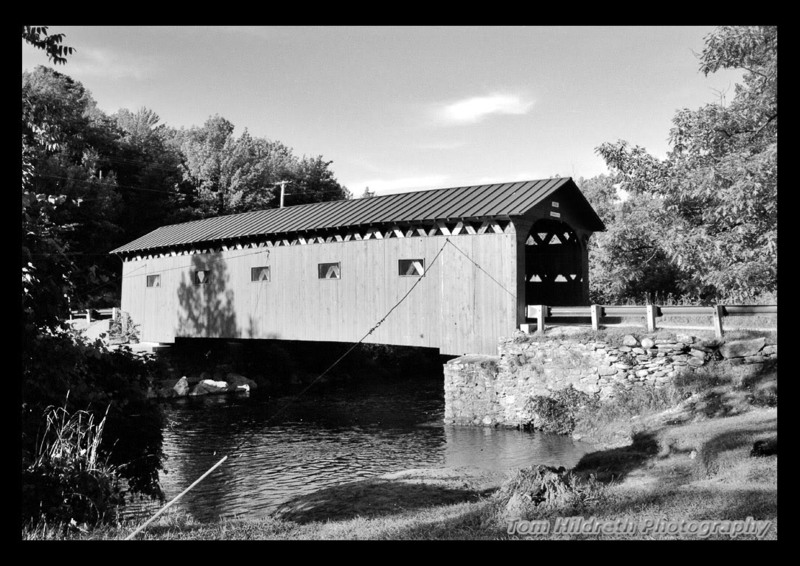 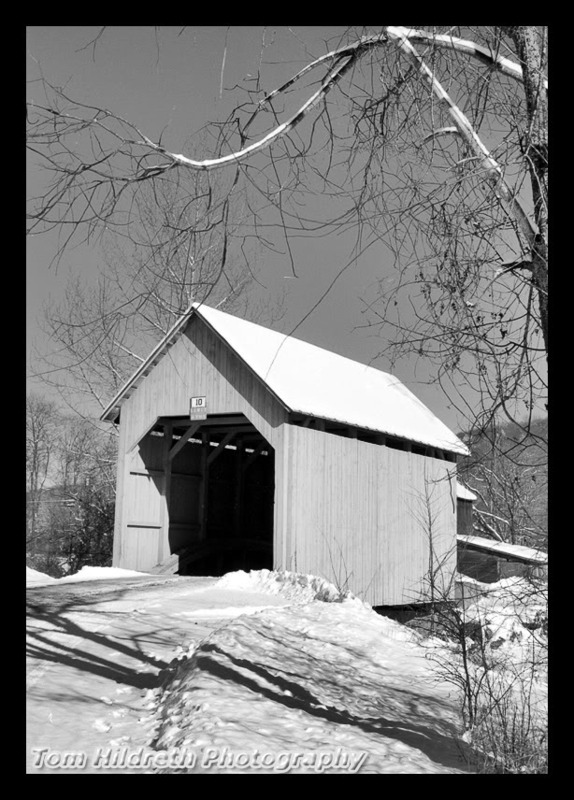 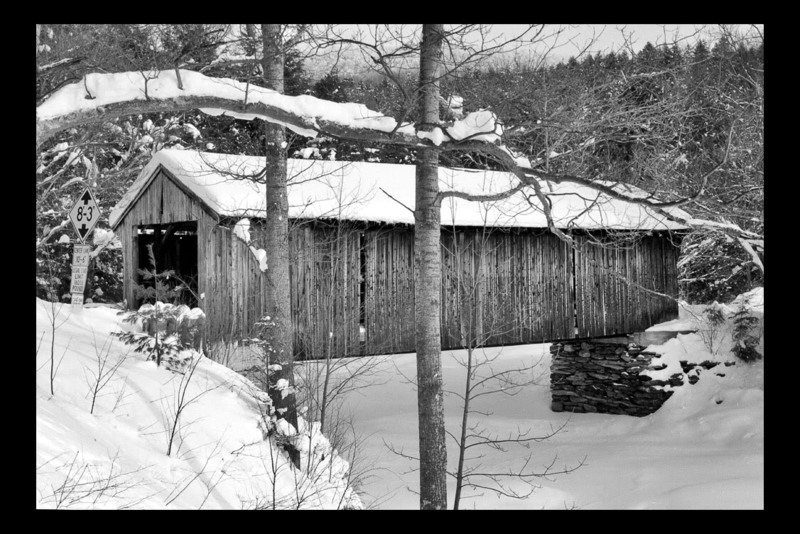 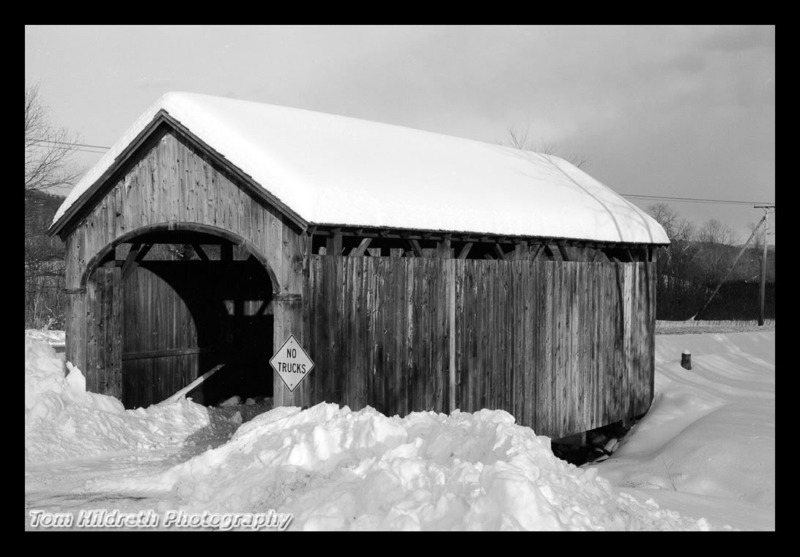 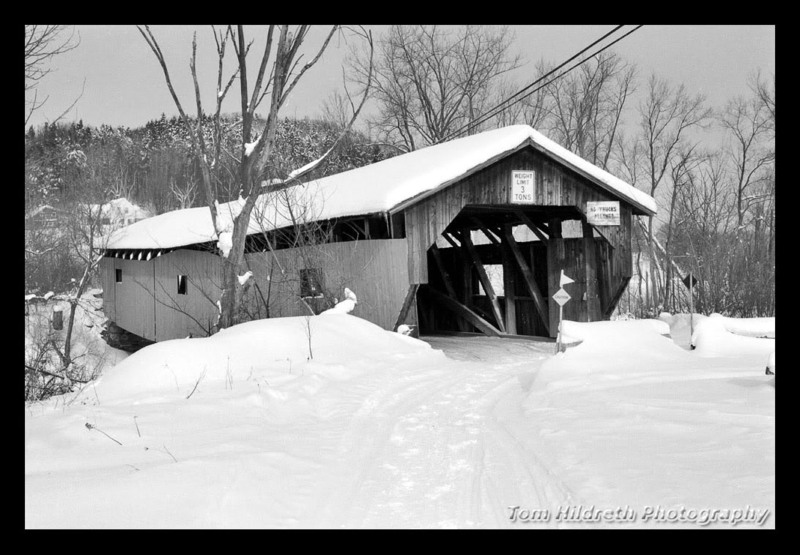 The Twigg-Smith Bridge is shown in the Lamoille County section because it is actually 1/2 of the former Garfield Bridge from Hyde Park. A developer placed half of the original bridge at this location in Brownsville in Windsor County. 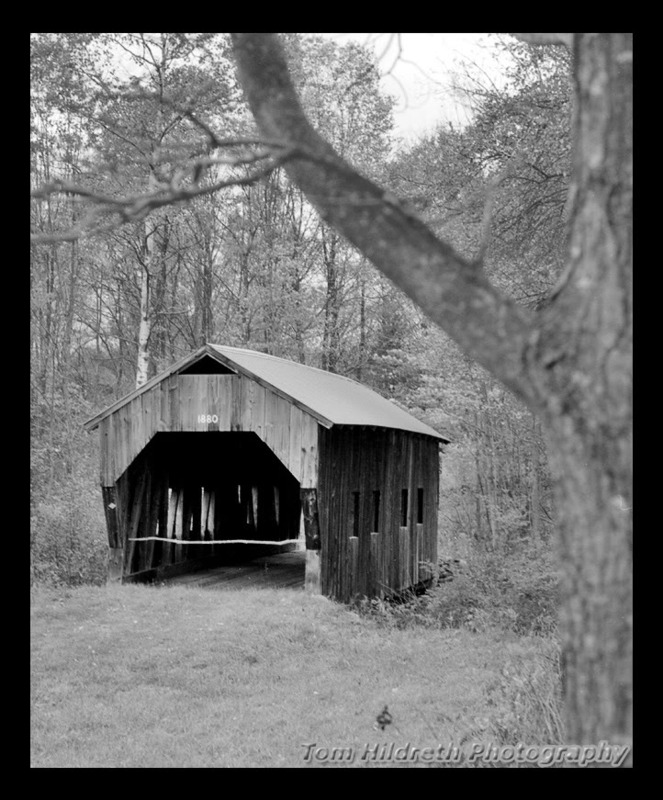 Kodak TMAX 100 , 3 Oct 1994. 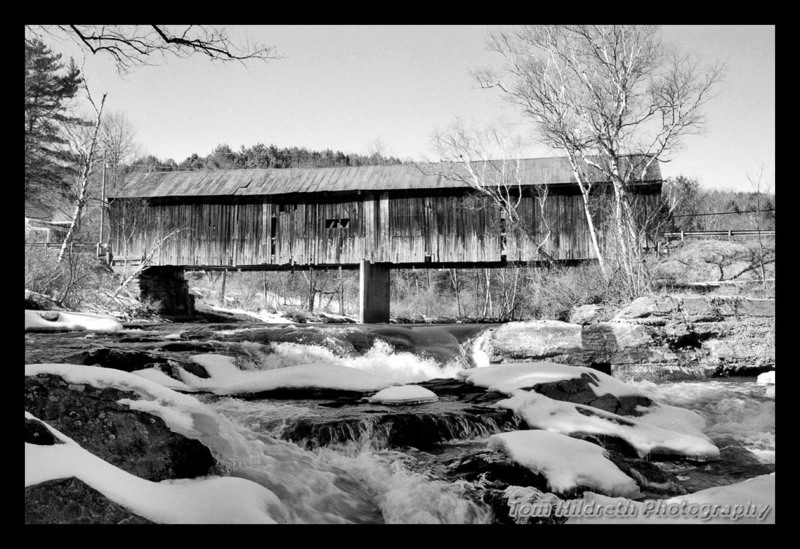 Another view of the Twigg-Smith Bridge. 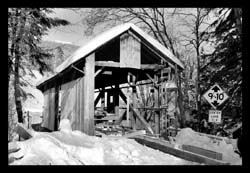 The other Half of the Garfield Bridge was placed on a site in Pomfret, in Windsor County. 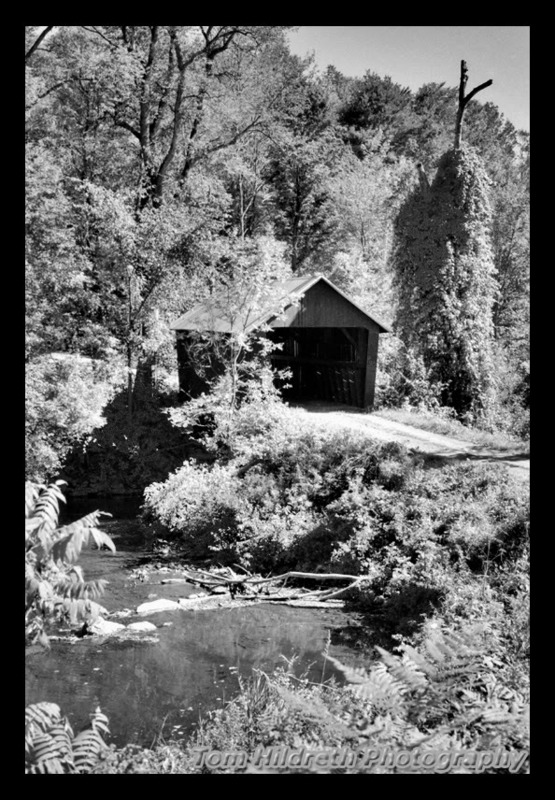 Kodak TMAX 100 , 3 Oct 1994. 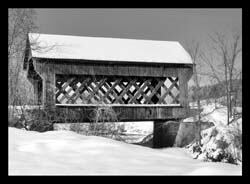 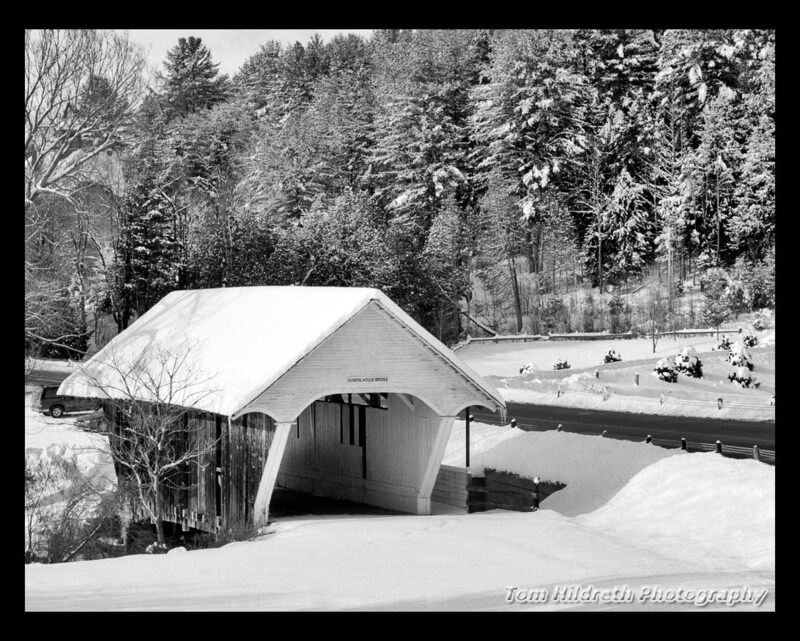 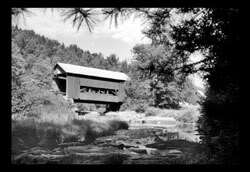 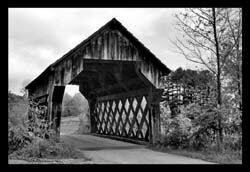 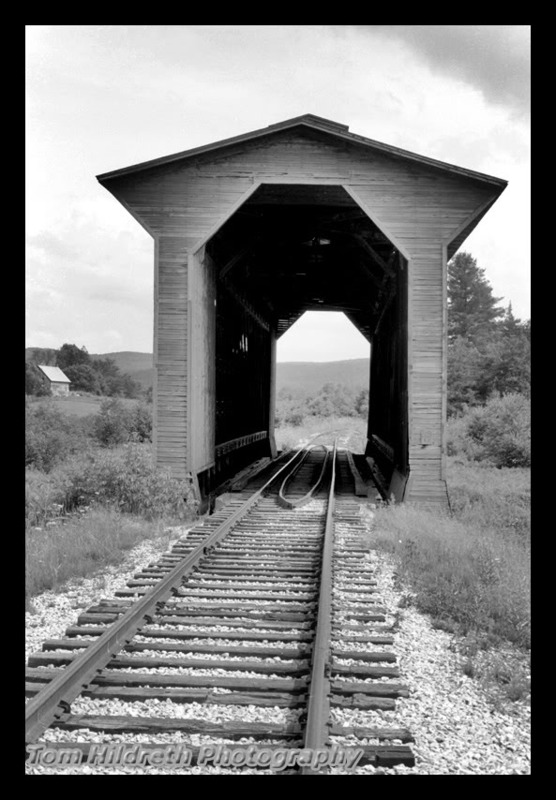 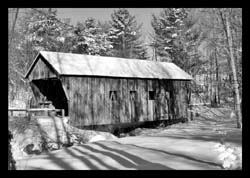 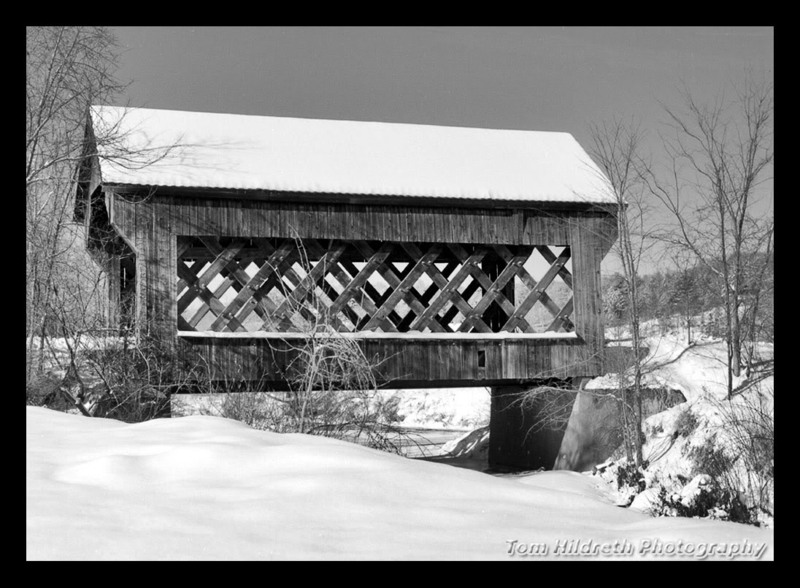 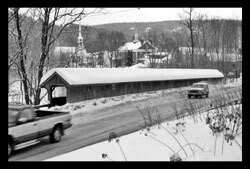 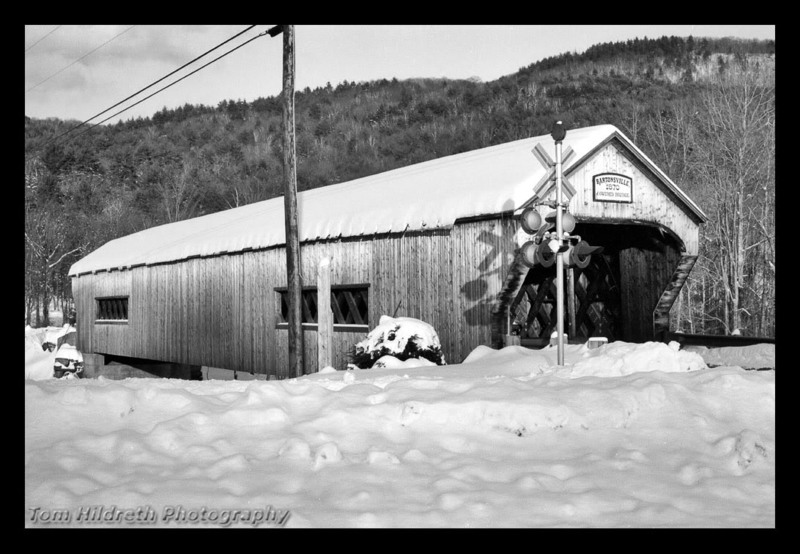 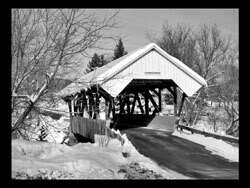 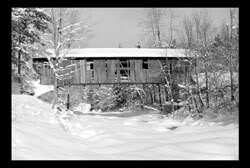 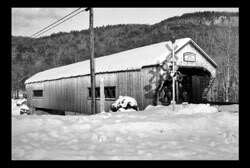 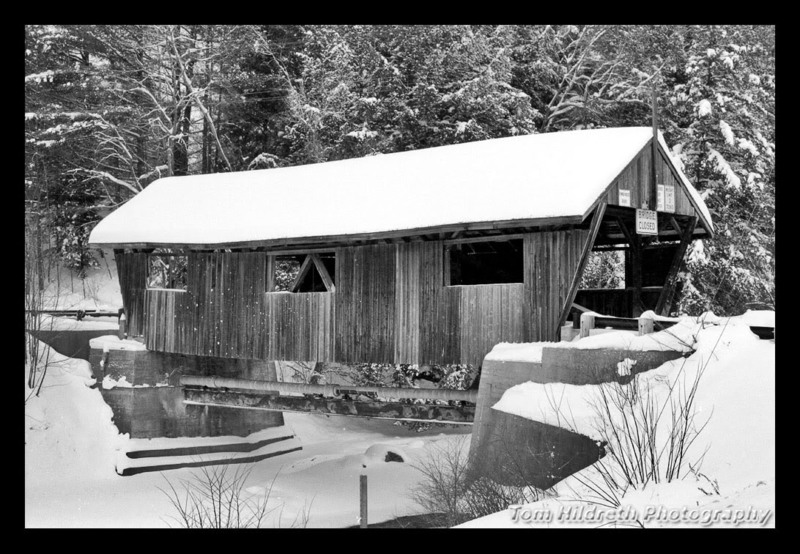 The Fisher or Chub Bridge over the Lamoille River was built by the St. Johnsbury and Lamoille Country RR in 1908. It is a 103' Town-Pratt type lattice, doubled for weight-bearing purposes. 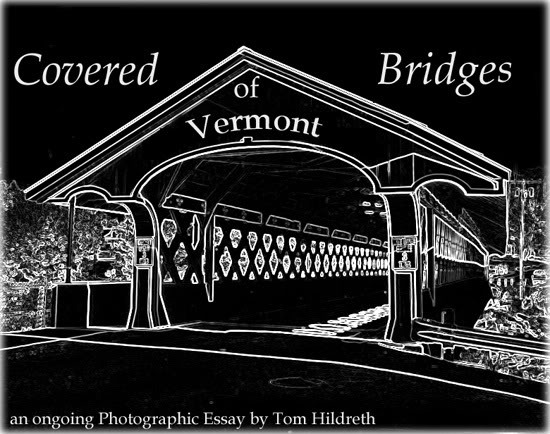 A graphic of this bridge adorned the equipment of the railroad, which has since ceased operation. 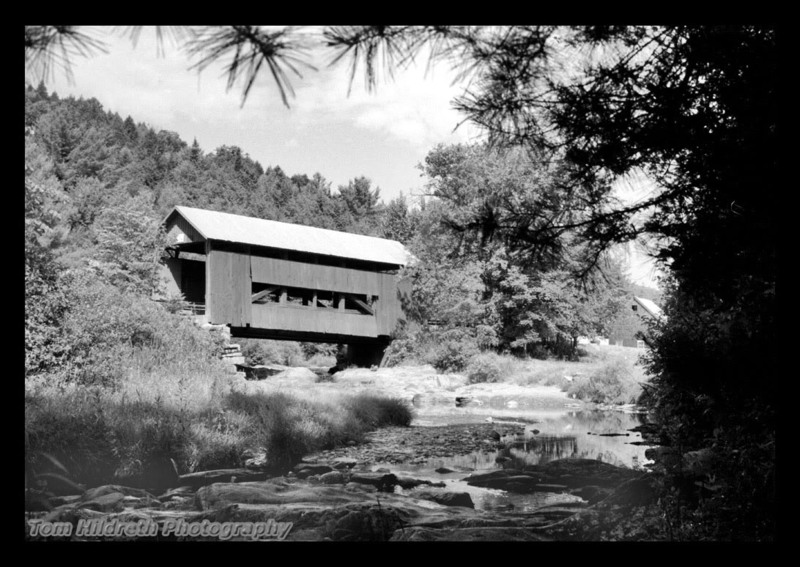 Kodak TMAX 100, 22 July 1990. 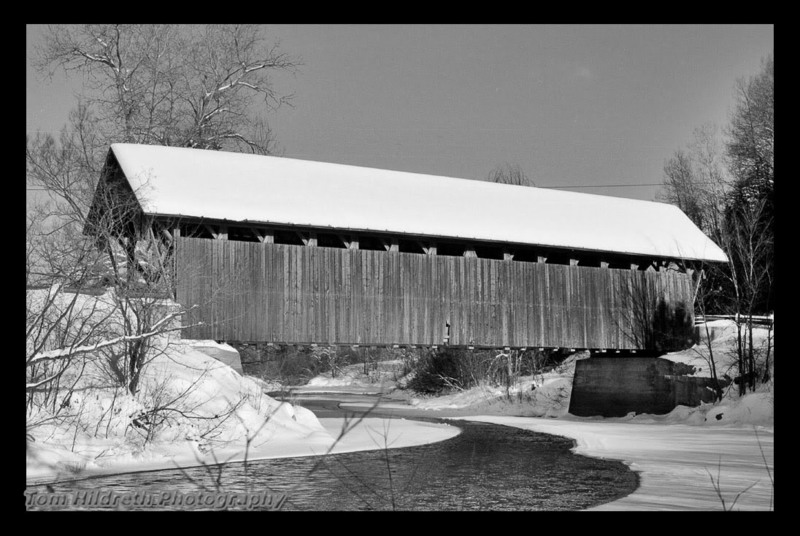 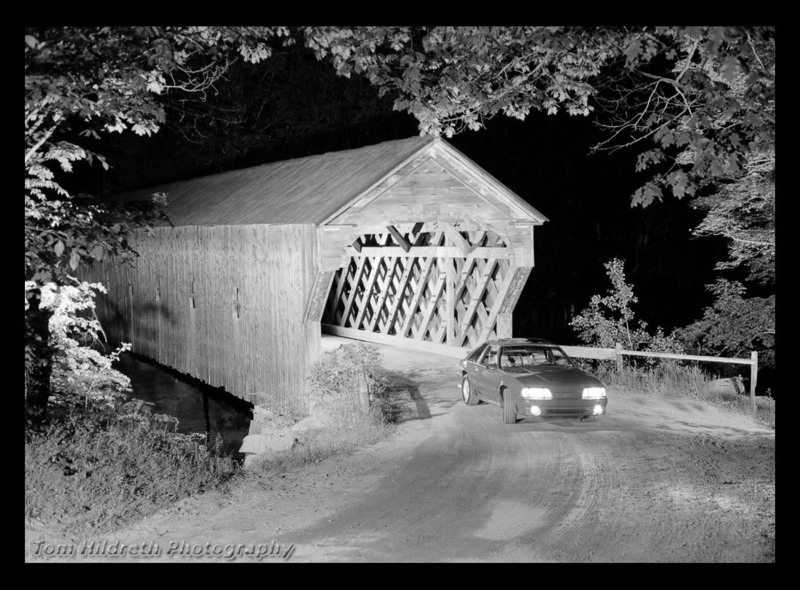 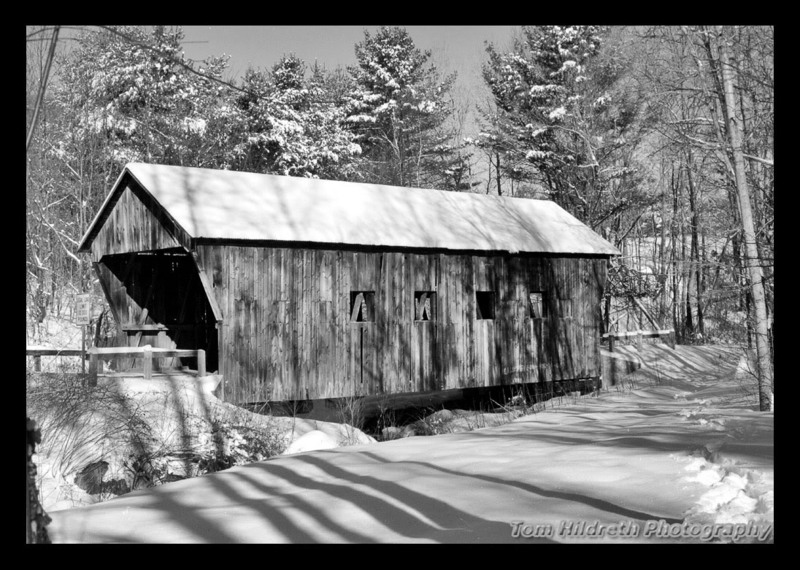 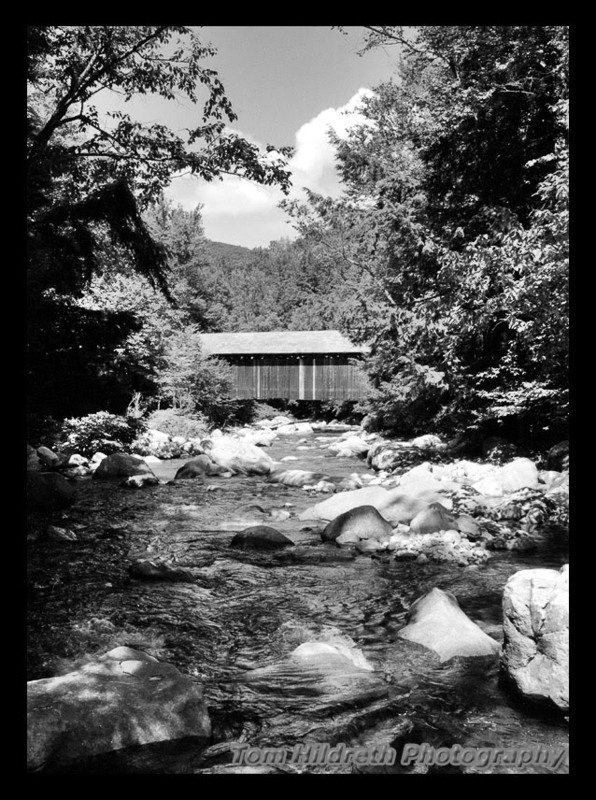 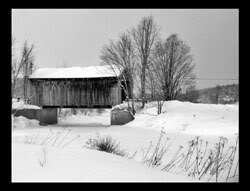 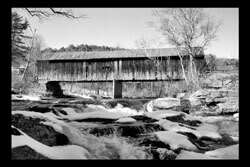 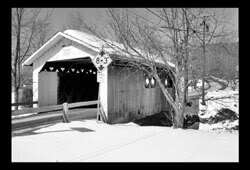 The Sayres Bridge in Thetford spans the Ompompanoosuc River with a length of 127'. 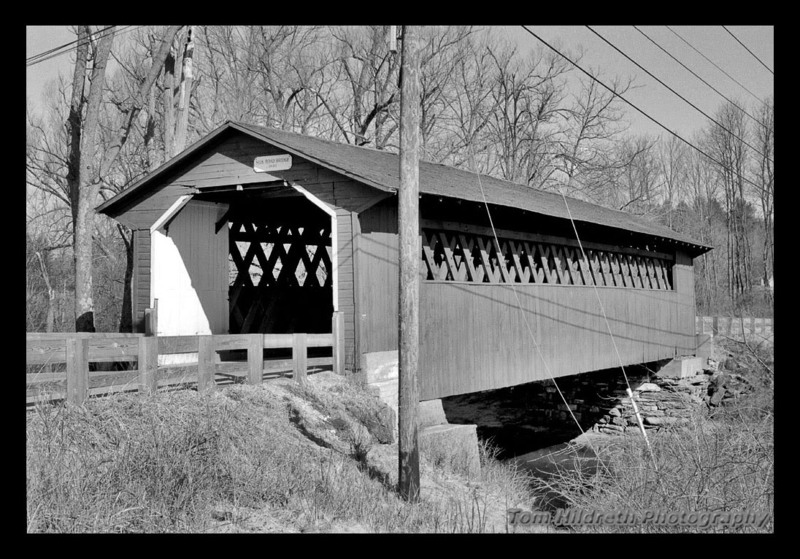 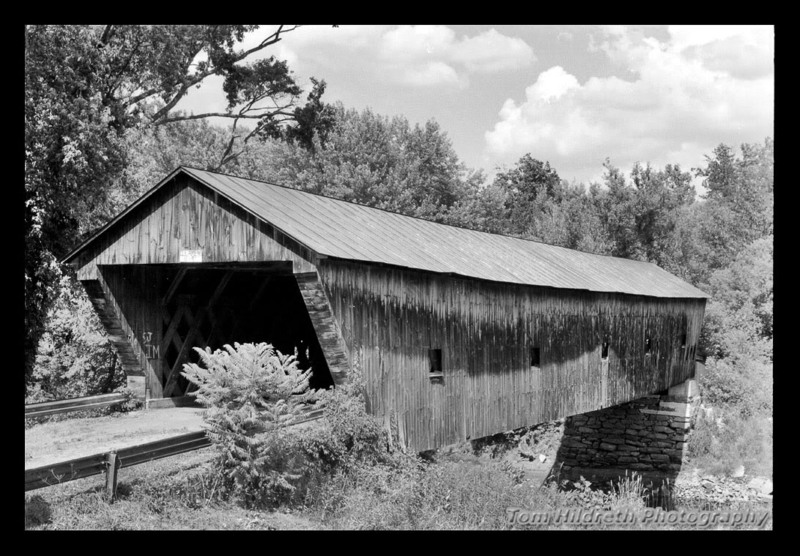 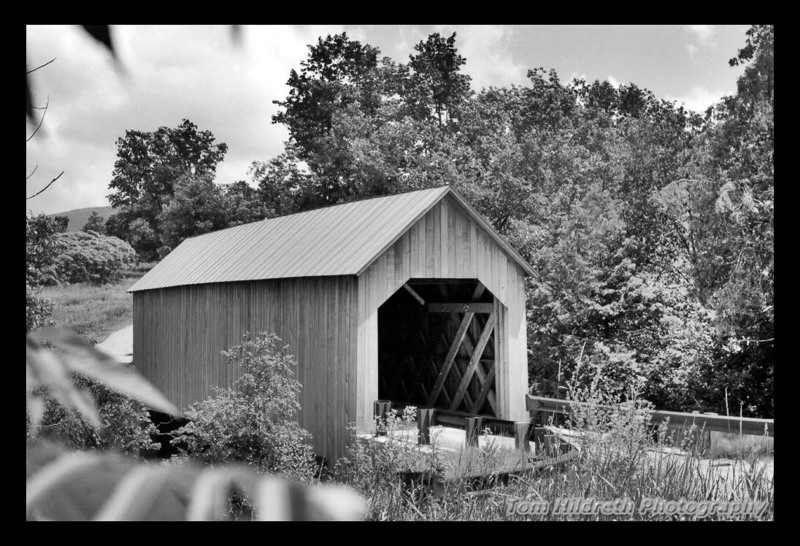 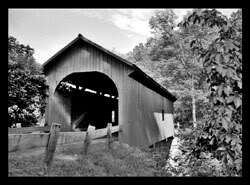 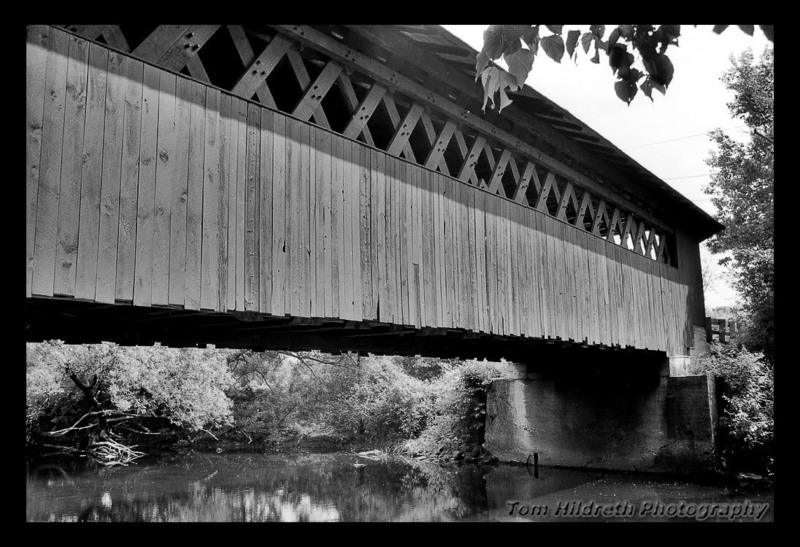 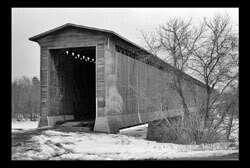 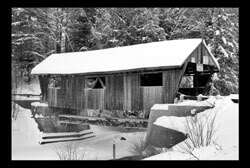 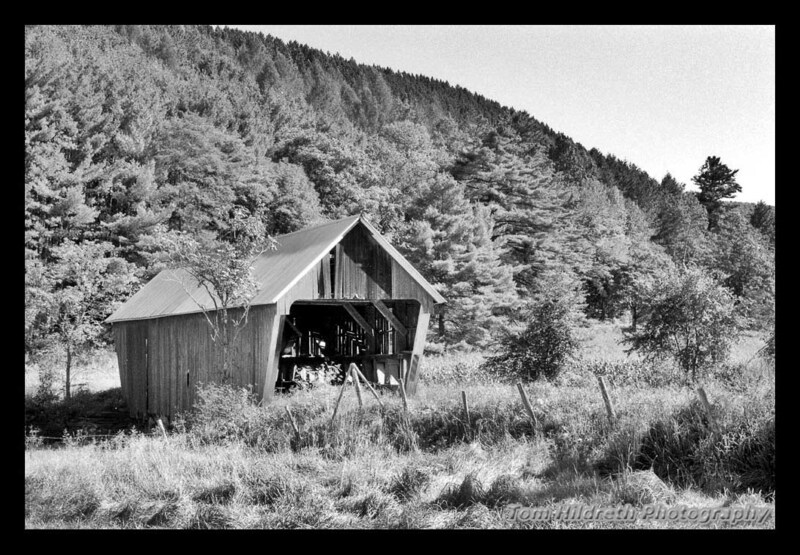 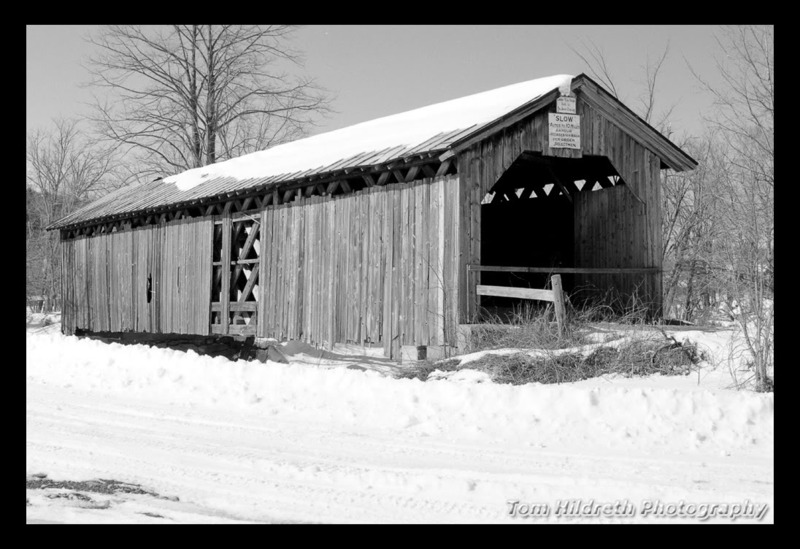 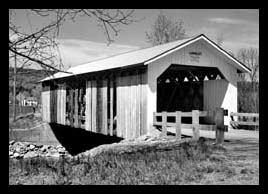 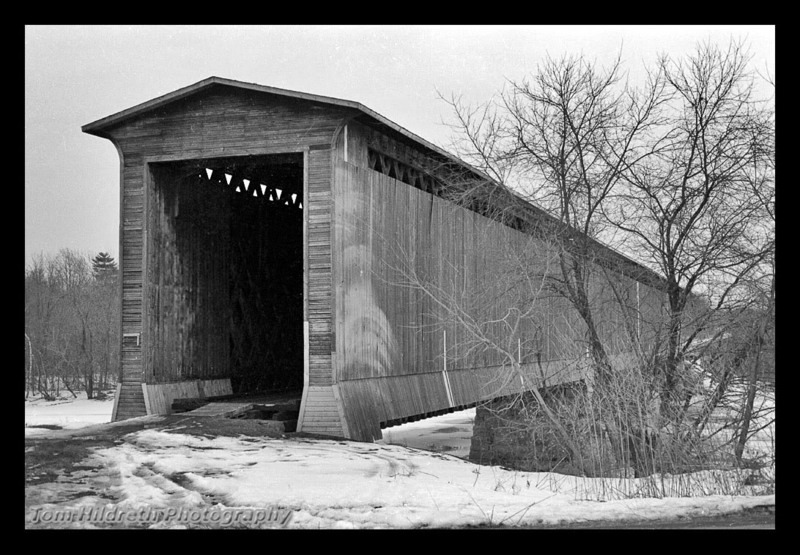 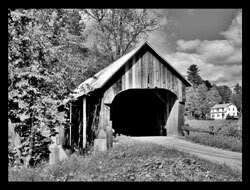 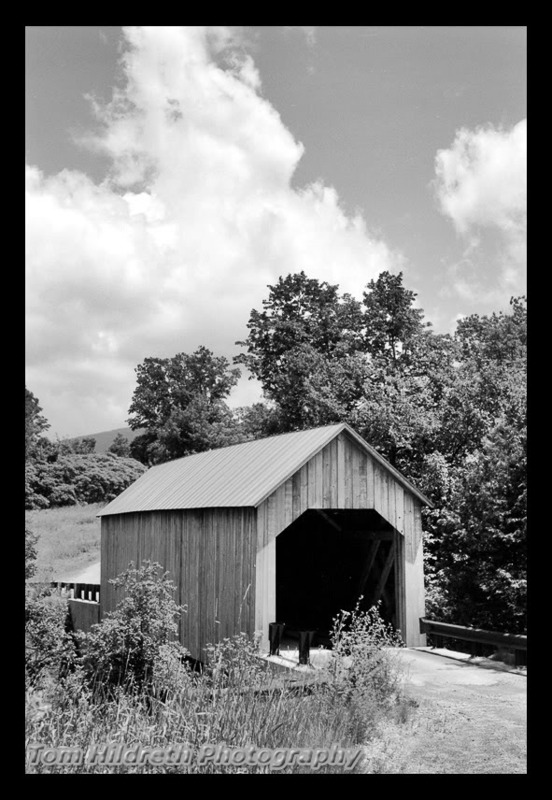 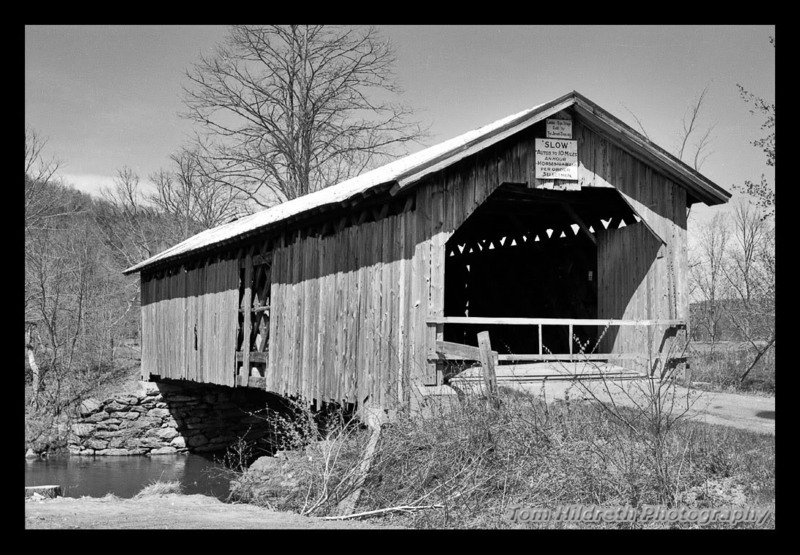 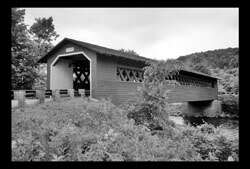 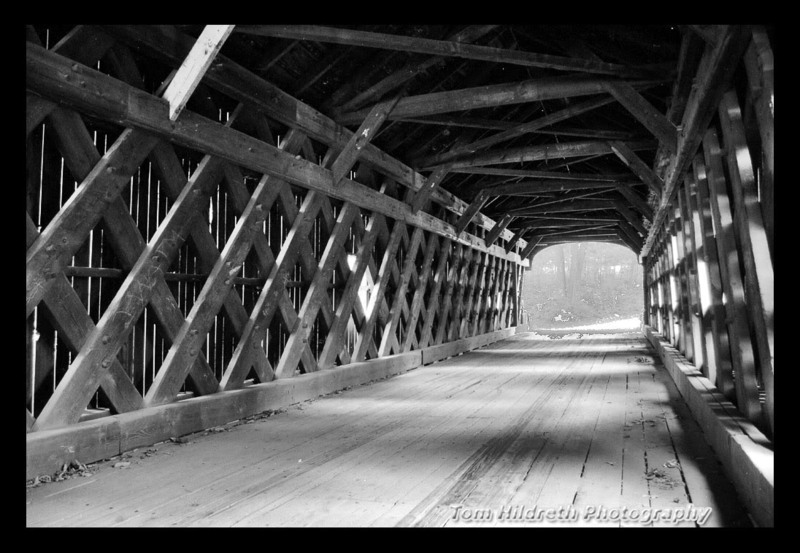 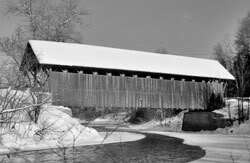 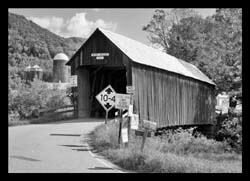 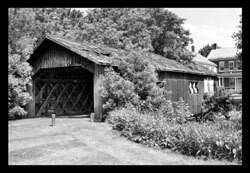 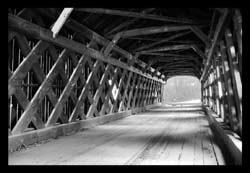 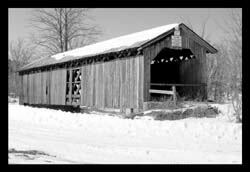 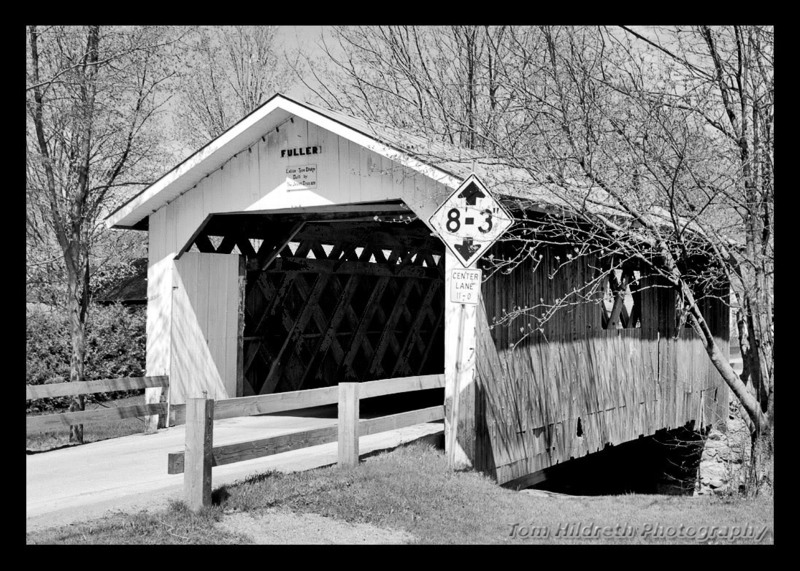 It is an unusual bridge, having what appears to be a rare Haupt truss, though with variation. 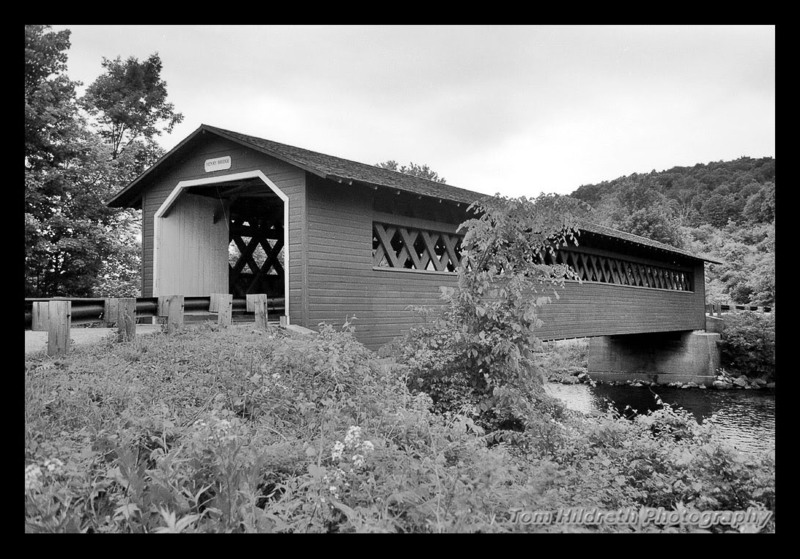 Four steel beams and a mid-span pier were added in 1963. 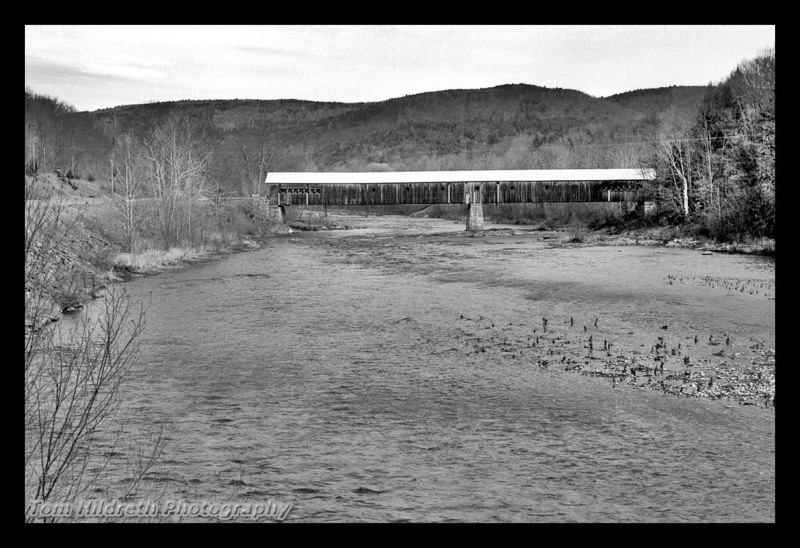 Kodak TMAX 100, 15 March 1996.